From the main screen, simply enter the type of business or the name of the business that you are looking for in the “FIND” box. 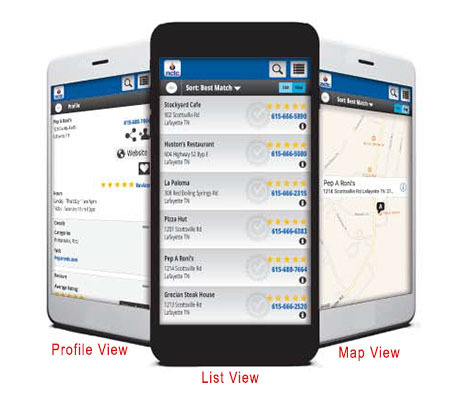 You will be directed to a page containing all of the businesses that match your search, as well as a map indicating where each business is located (if an address was provided). By clicking on any advertiser’s address, you can get an exact location of the business on the map, as a well as the option of obtaining driving directions from your own location! From the listing information on the right, you can also access a business’s ad as it appears in the Yellow Pages, their website or send them a quick email (if the advertiser has chosen these options). From the main screen, click on “SEARCH PEOPLE” and simply enter the name of the person or people you are looking for in the “FIND” box. You will be directed to a page containing all of the people that match your search, as well as a map indicating where each person is located (if an address was provided). Local Business at your Fingertips! 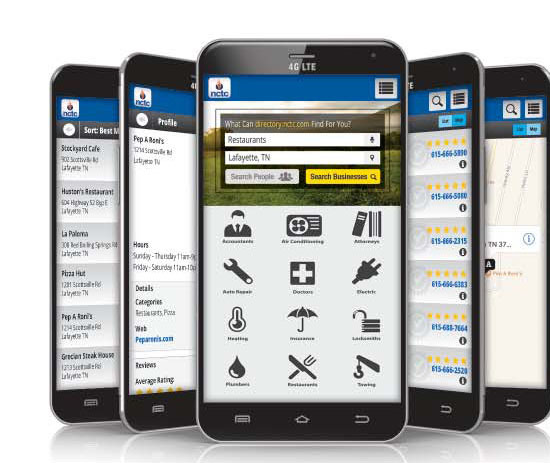 NCTC’s app offers a full online version of its yellow pages at directory.nctc.com. But you’ll find more than just phone book listings – you’ll discover business information, useful maps and links to the services you use every single day. Read reviews left by previous customers to help decide where to take your Got something to say? After your visit, leave your own review to help out others in the community! 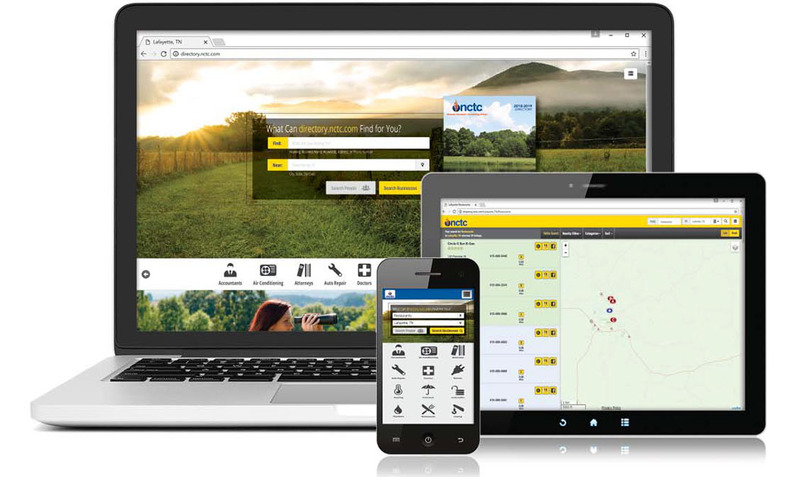 The NCTC online directory is your one-stop shop for finding businesses in your local area. Whatever your need is – let directory.nctc.com be your guide around town!